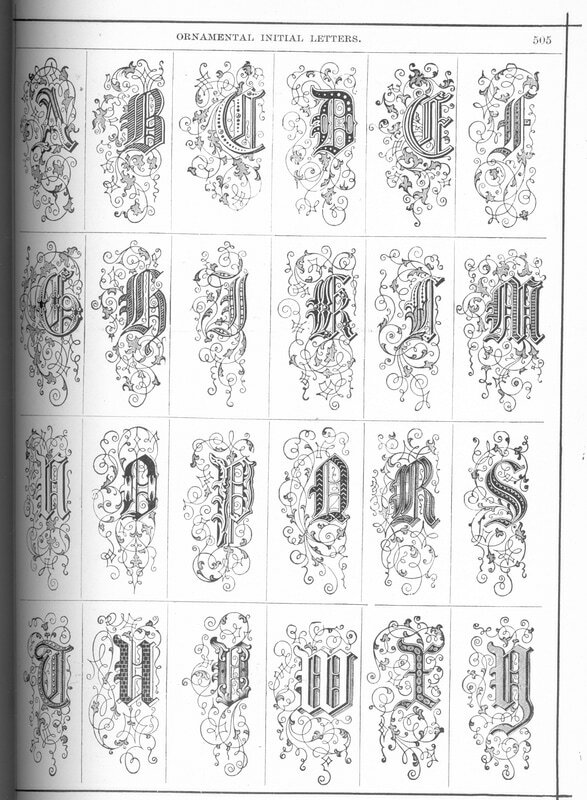 Just drag these pages onto your desktop, print, and color away! 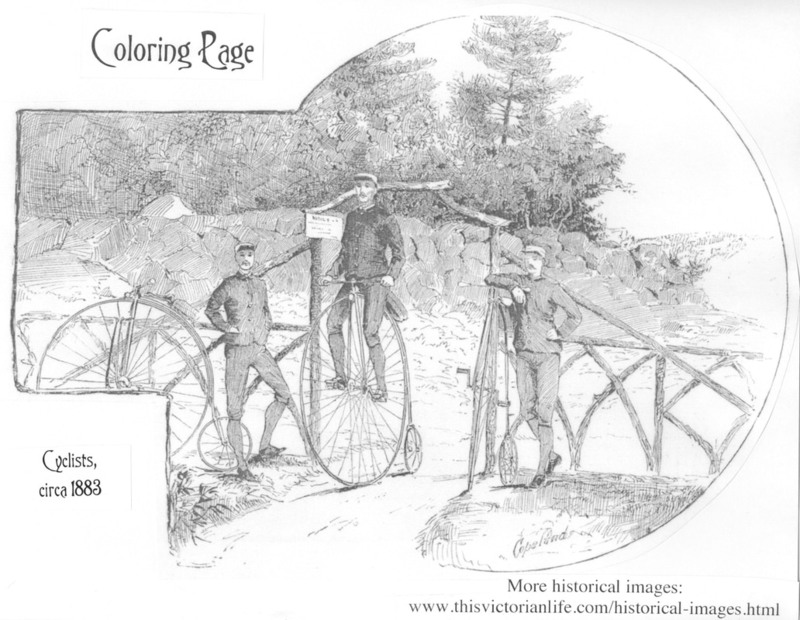 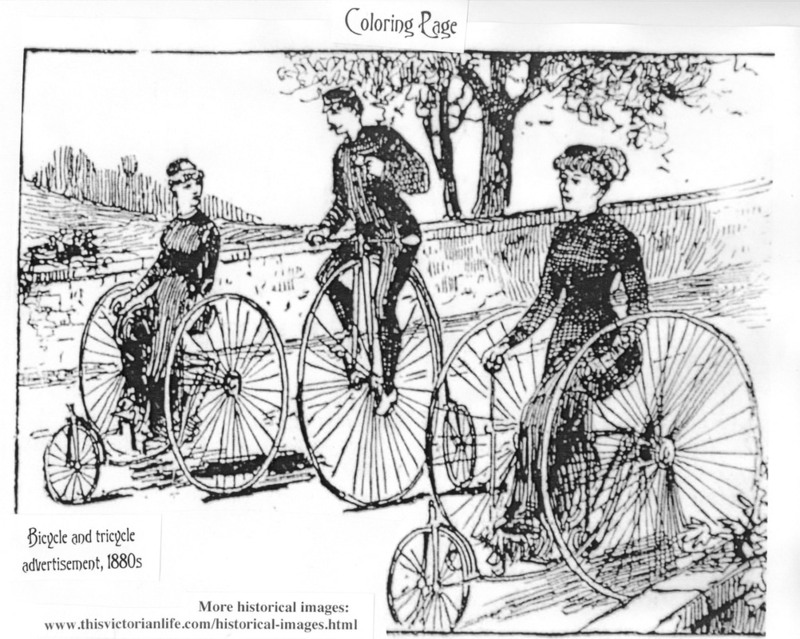 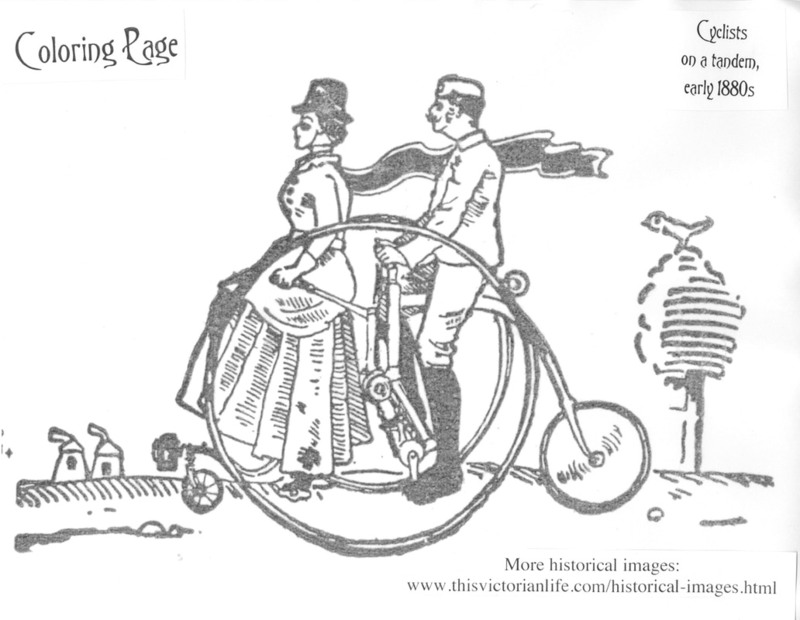 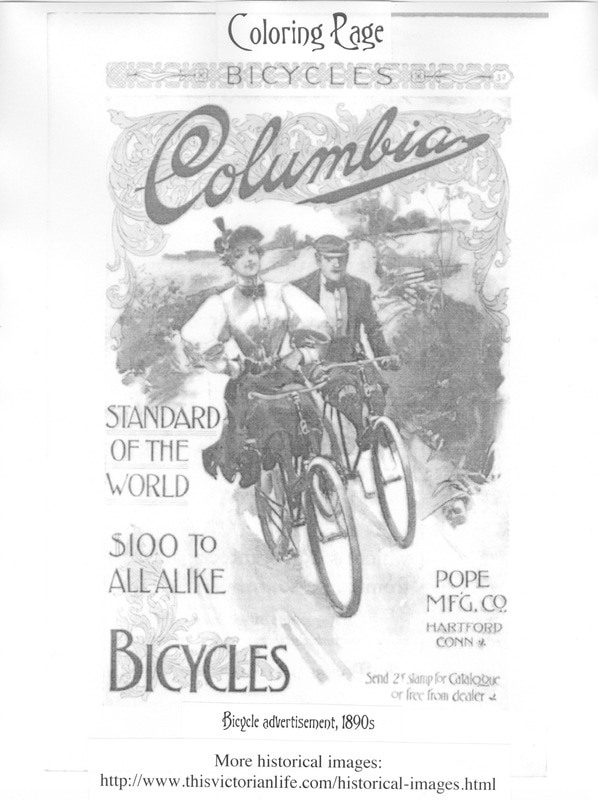 If you like historical images like these, be sure to check out our Zazzle page! 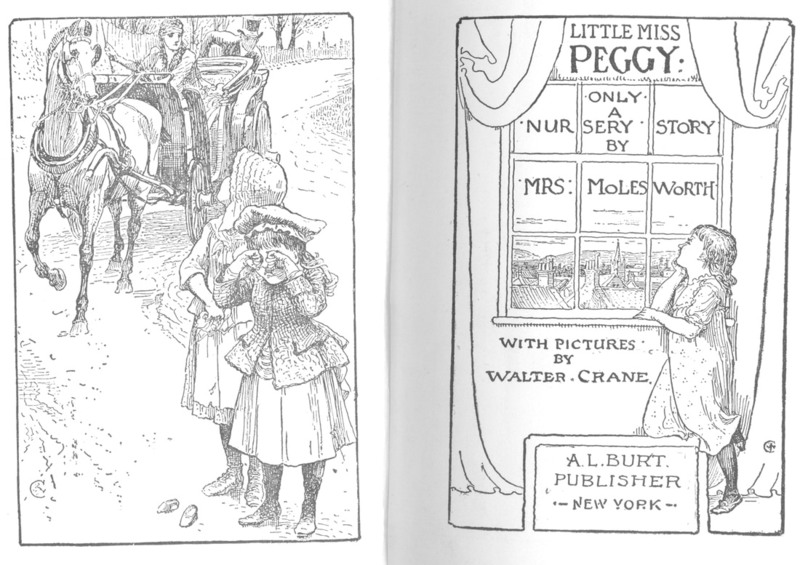 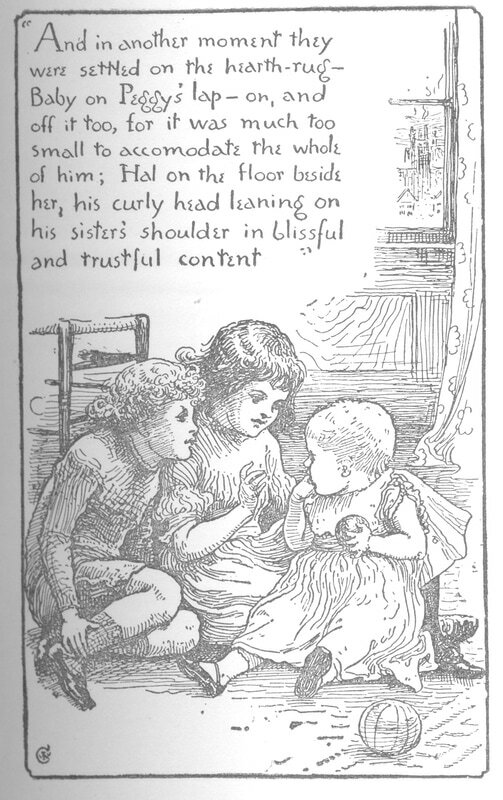 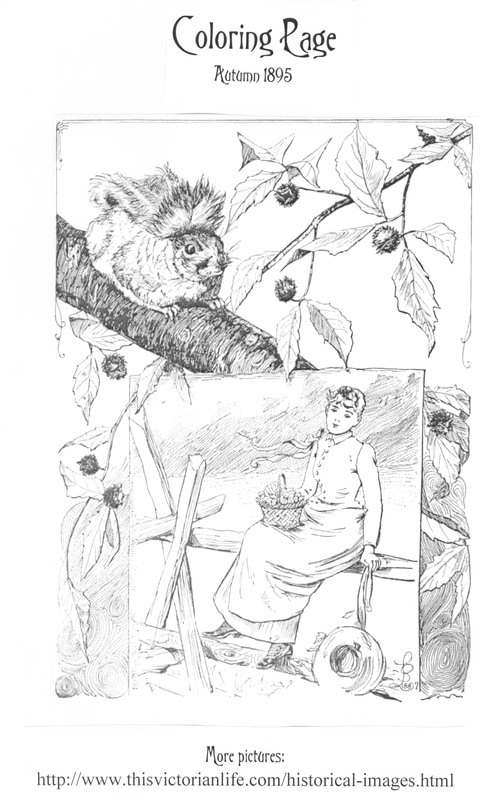 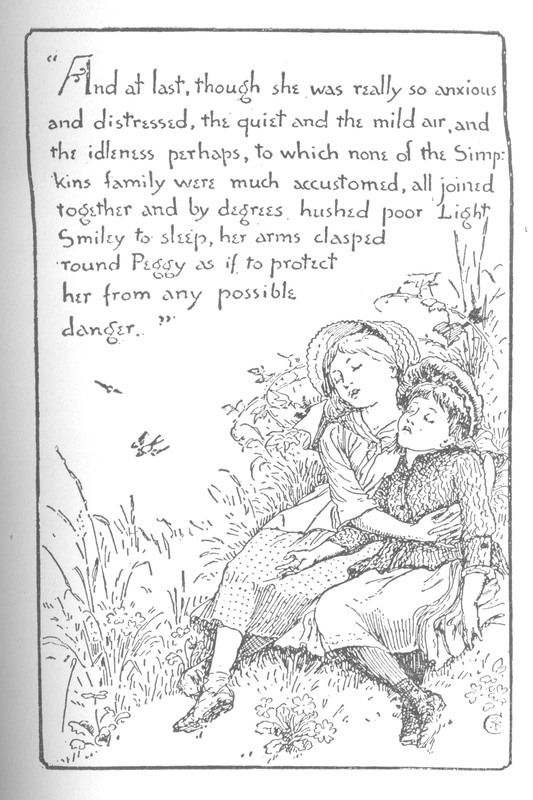 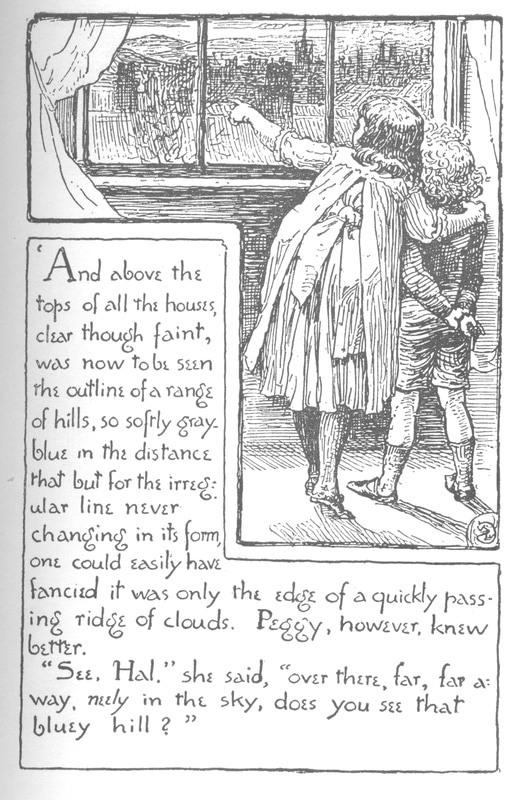 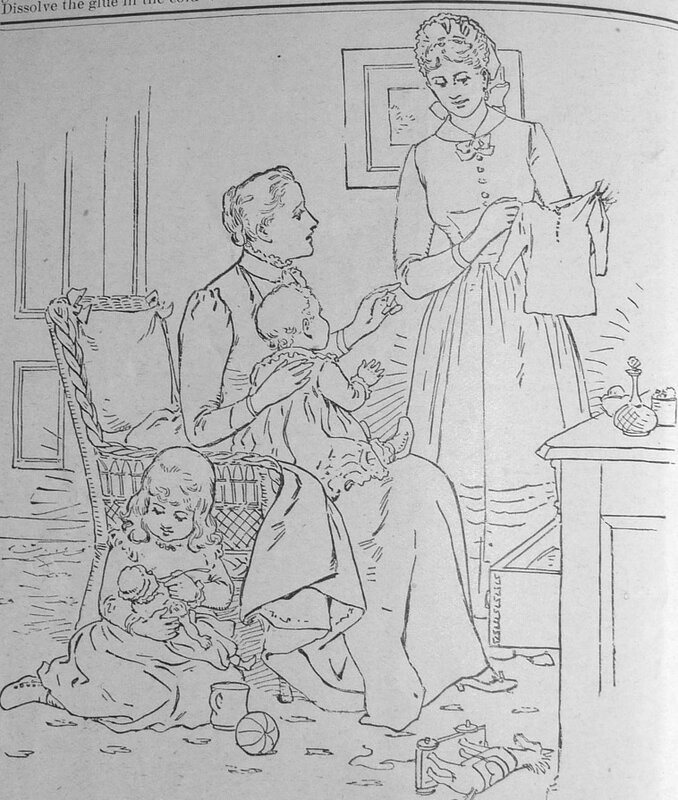 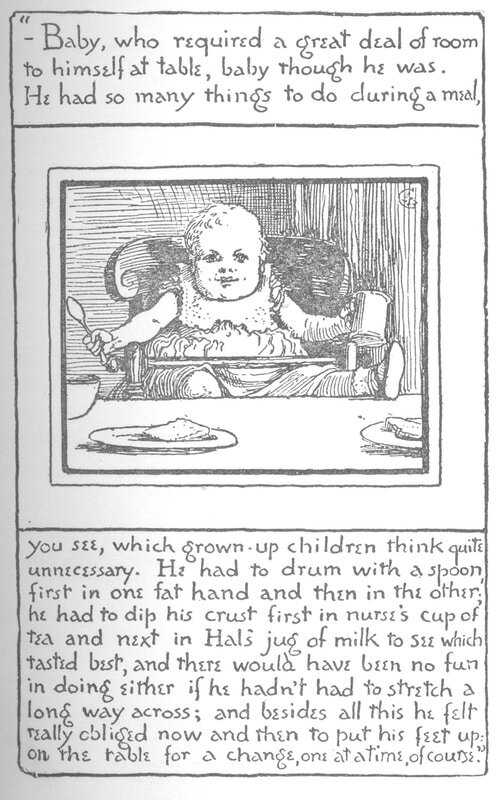 From the children's book "Little Miss Peggy", 1887. 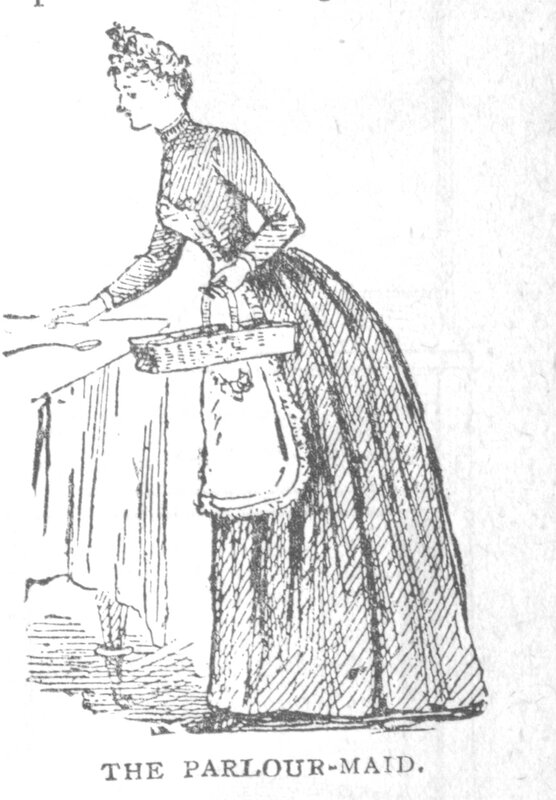 From the "Ladies' Home Journal", May, 1891. 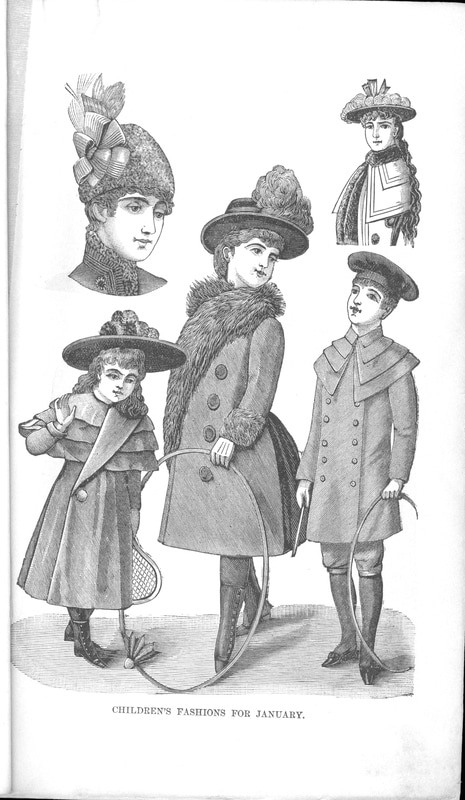 Sports clothes, 1890. 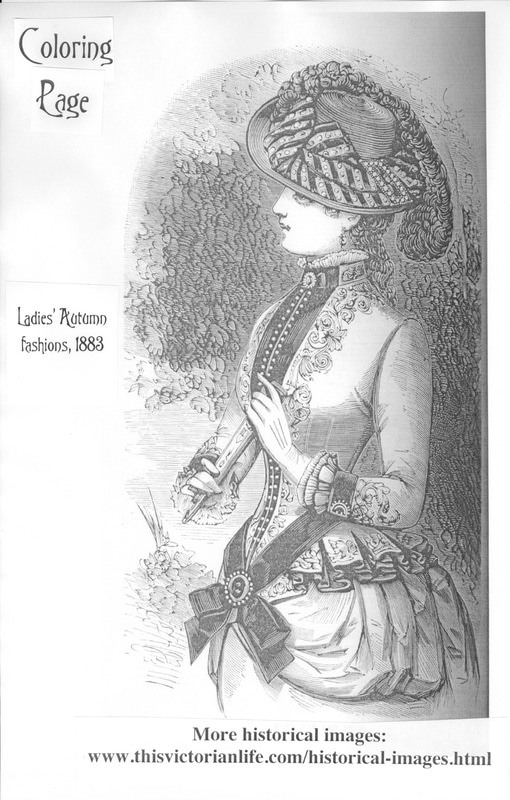 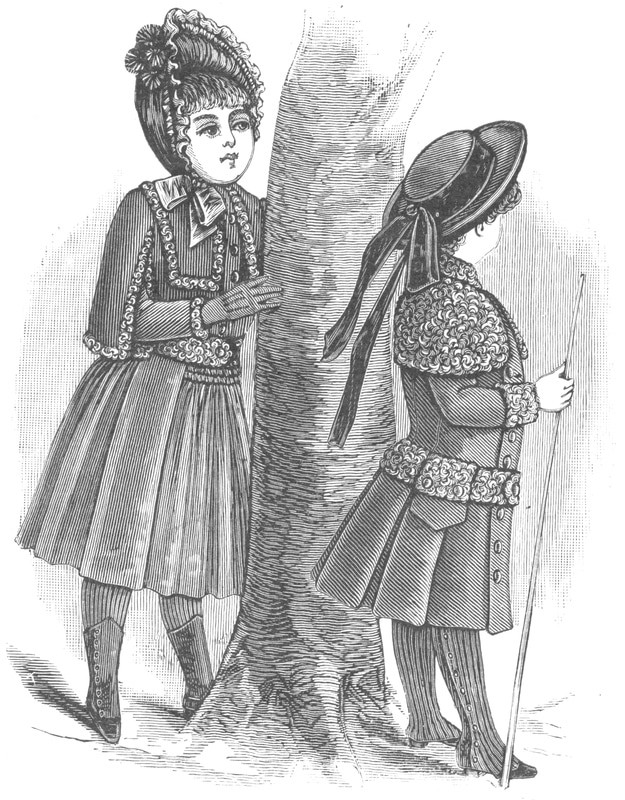 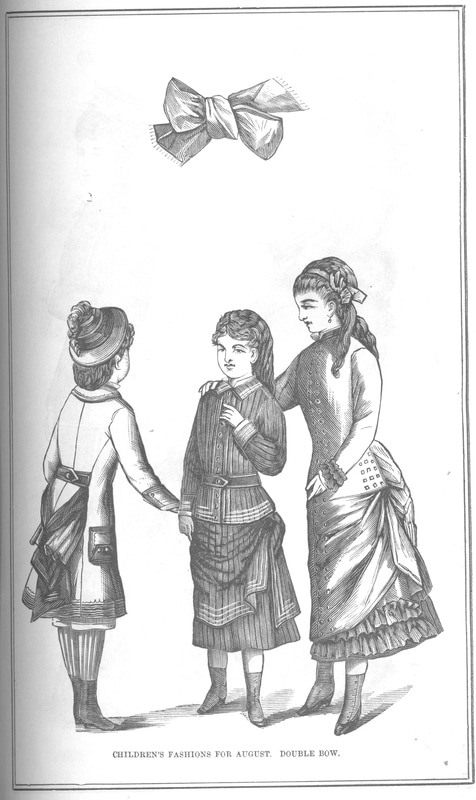 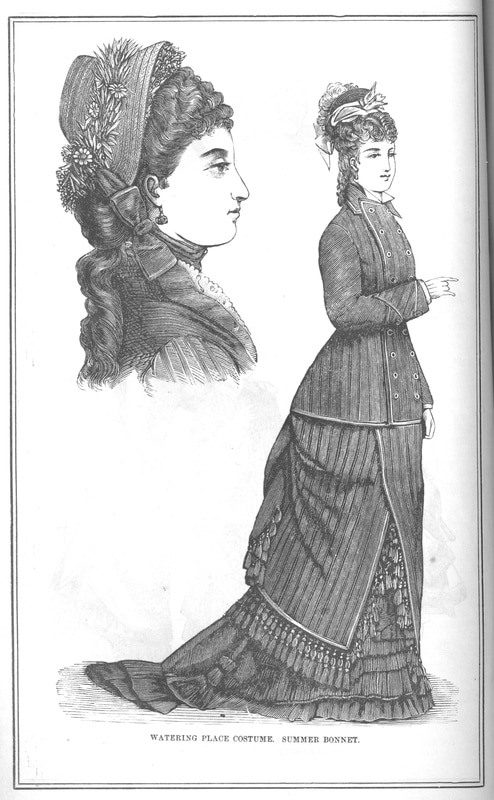 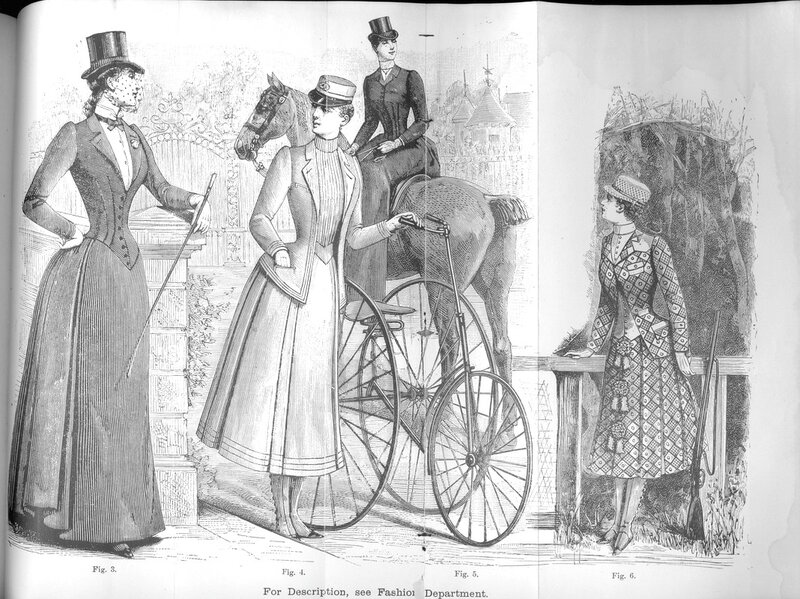 Fashion plate from "Godey's". 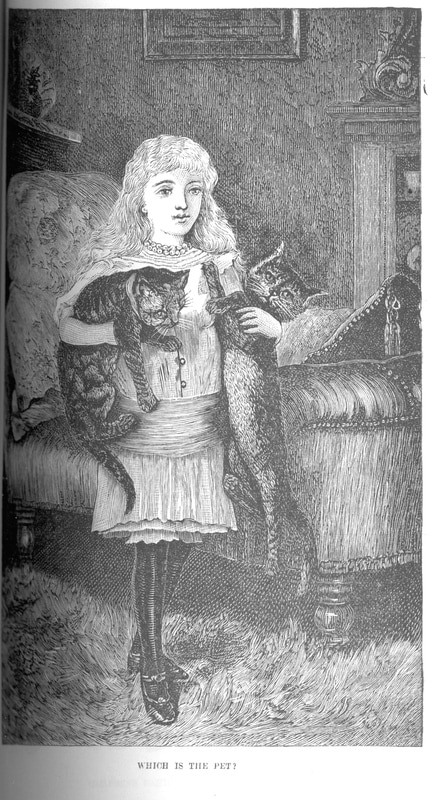 "Which one is the pet?" 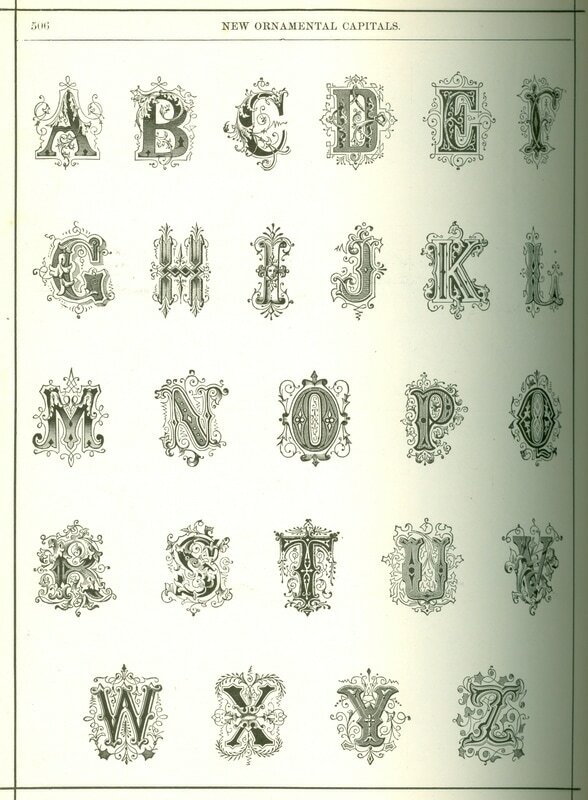 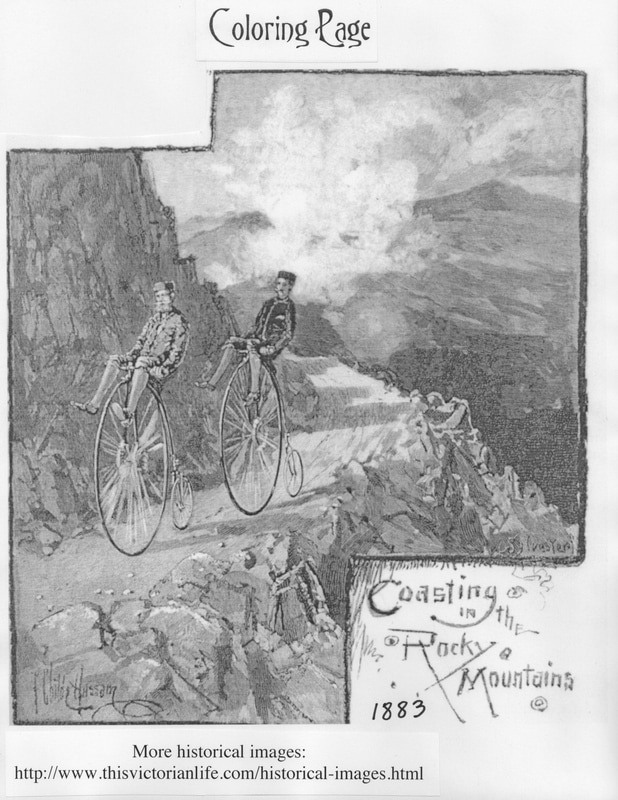 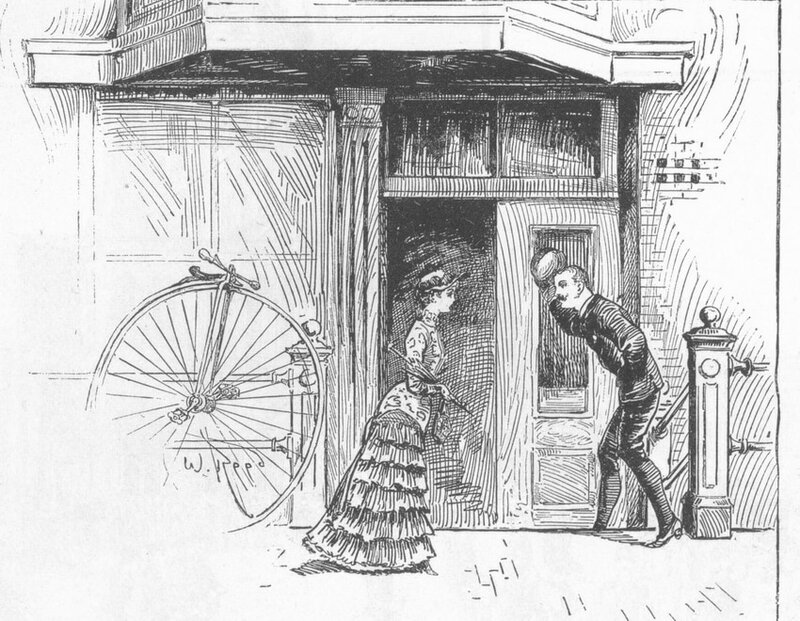 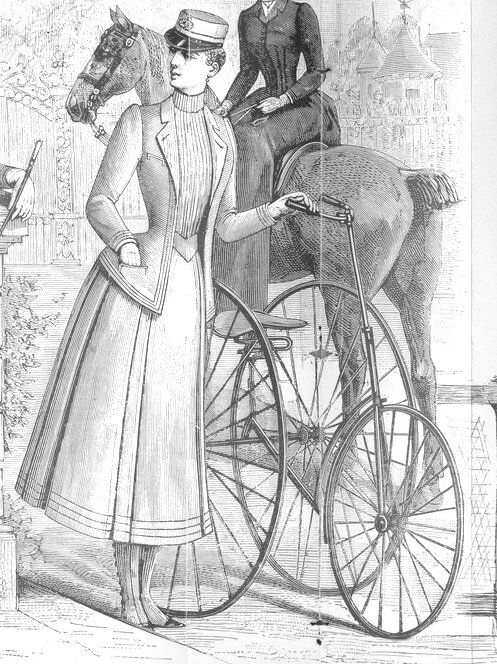 From "Peterson's" magazine, 1883. 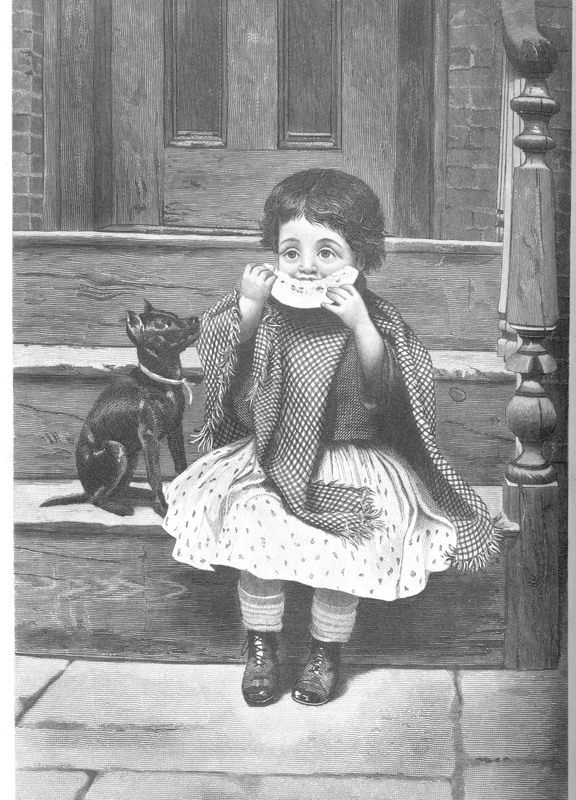 This picture from 1877 is called "Little Greedy." 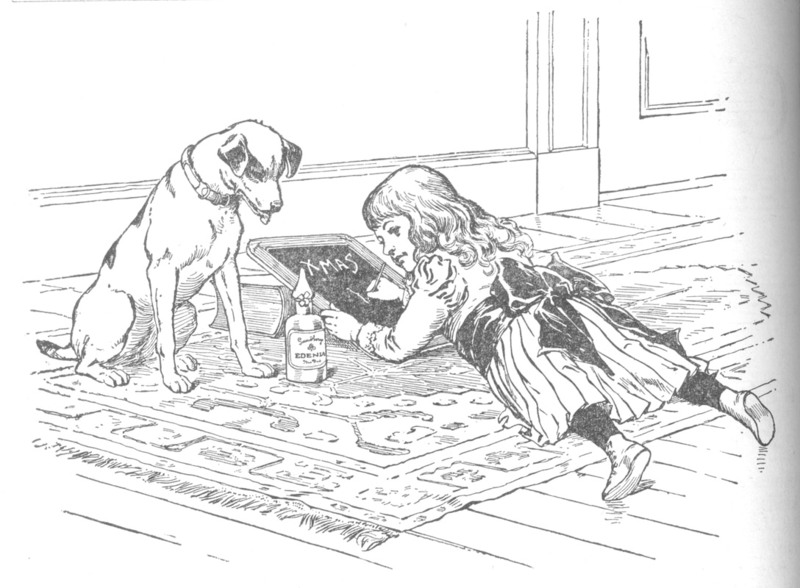 Do you think the title means the girl is greedy, or the dog? 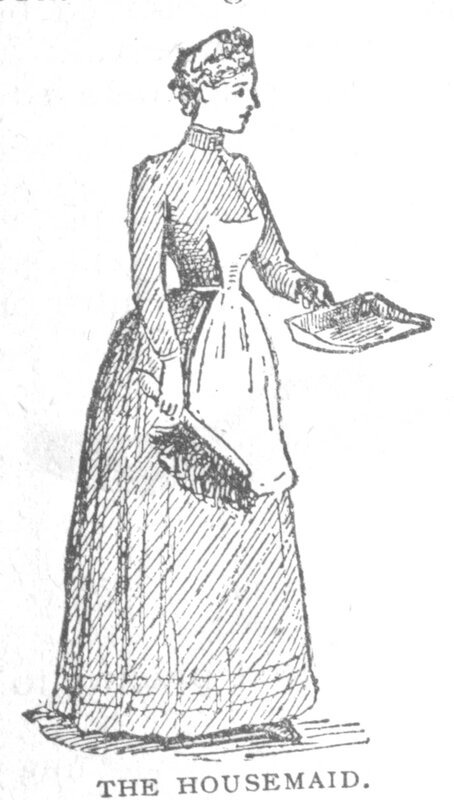 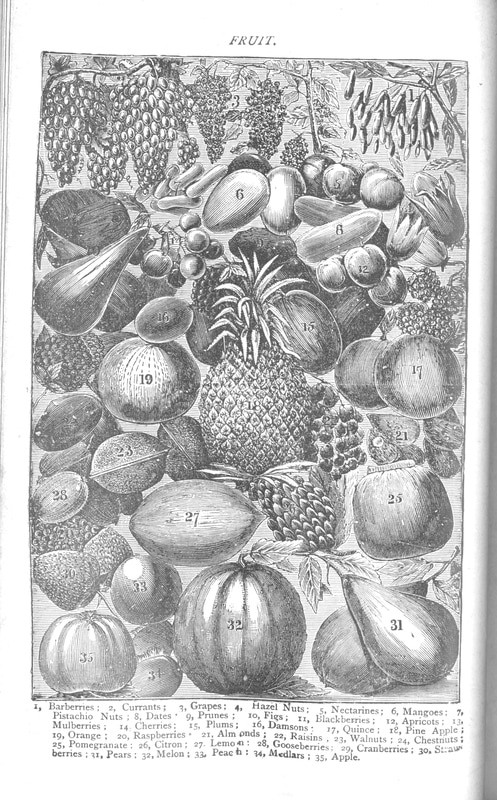 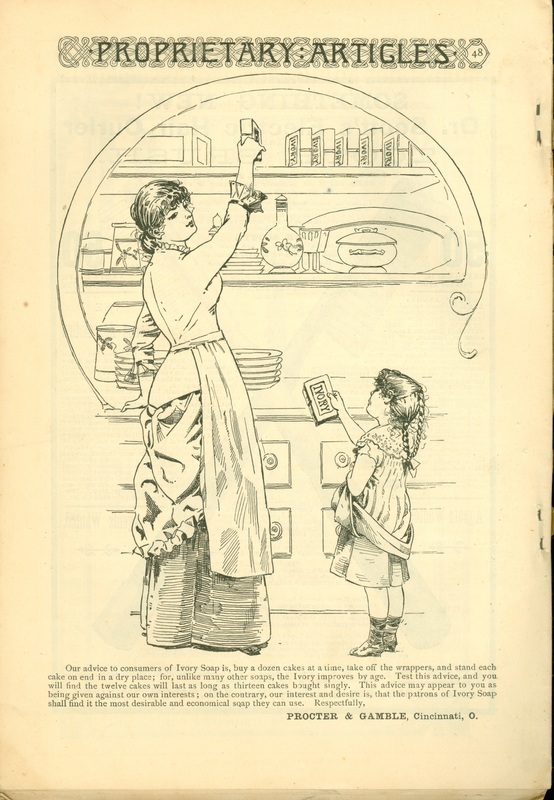 From "Mrs. Beeton's Book of Household Management", 1891. 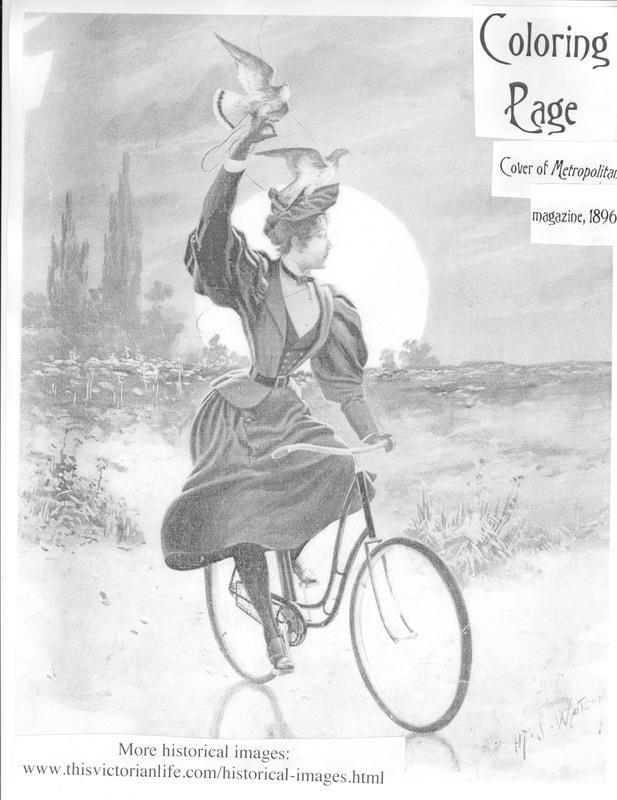 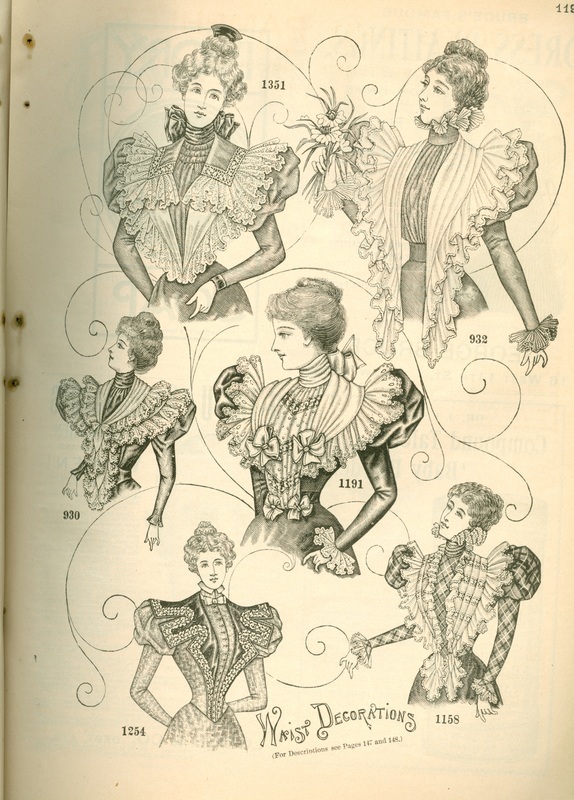 From "Godey's" magazine, December, 1889. 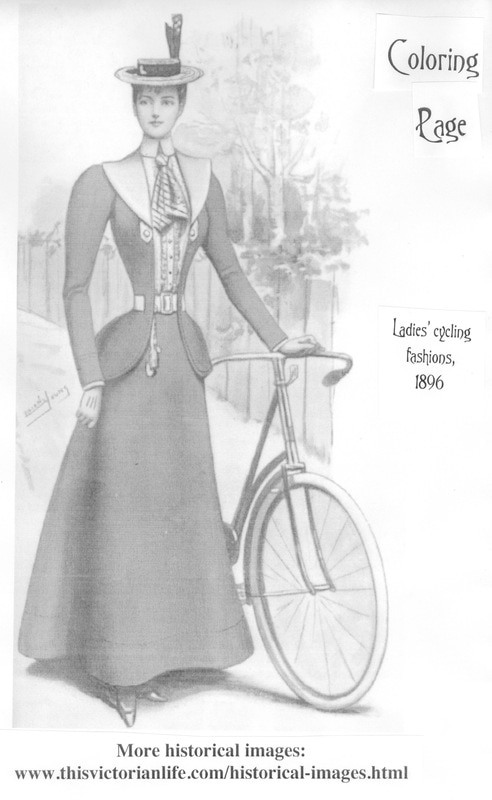 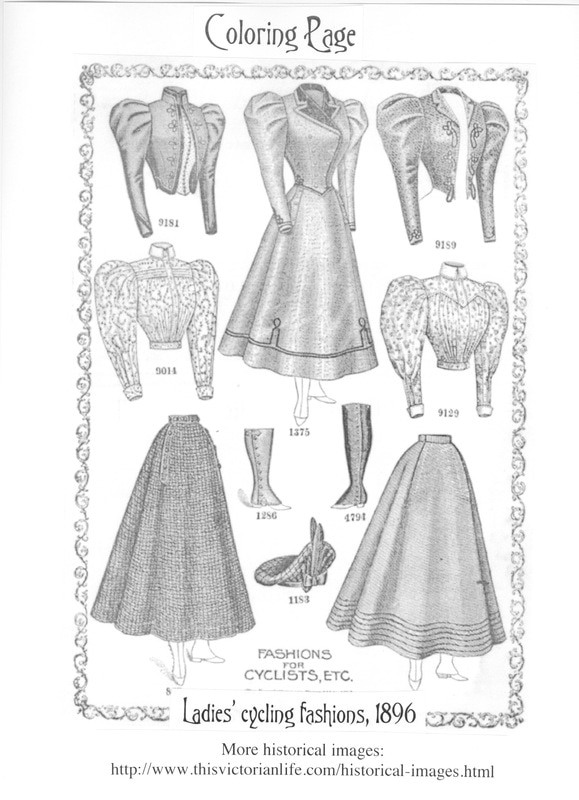 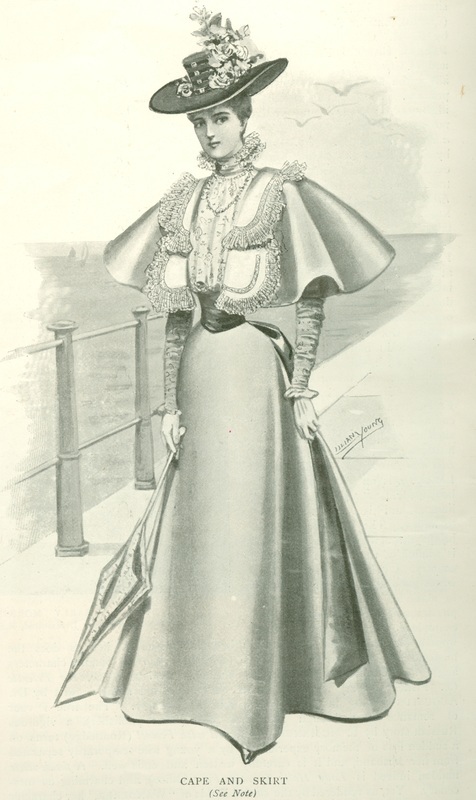 Fashion plate from "Black and White Magazine", August 15, 1896. p216.